We've listed the 10 least reliable post-manufacturer warranty cars, sorted by how many claims each model has had. This is based on claims from Warranty Direct from 2014 to 2017 and is correlated from 40,000 policies of four year old vehicles. Until the launch of the Evoque in 2011, the Sport was Range Rover's big seller, proving popular with city dwellers as well as their gentrified cousins. Unfortunately it's not faring well when it comes to reliability according to Warranty Direct, topping this list. In fact the Land Rover brand appears a total of four times in our list. The manufacturer also has the second most expensive authorised claims at an average of £1324 per claim, just behind Bentley. Not a single Frenchcar. My 2006 Renault Megane has just passed 110,000 miles, problem free (so far). I thought Vauxhall's now had lifetime warranty so how could any of their cars from 2014 - 2017 appear on the list? Also, i don't think any of the new model Astra would be out of warranty yet? That was our error, we used a picture of the current Astra rather than the previous generation. Apologies. As for the Vauxhall 'Lifetime' Warranty, that was dropped by Vauxhall in late 2014. And no Fiats or Alfas either! None of the XFs mentioned are old enough to be out of manufacturer's warranty yet. Is this a sales pitch for Warranty Direct? Yes, the involvement of Warranty Direct as the source of this data is open to doubt; do their customers accurately reflect the number of new cars sold? I think a better judge of reliability etc is the % pass rate for the first, and subsequent, MoT tests for different manufacturers. This has been published, and is very revealing. 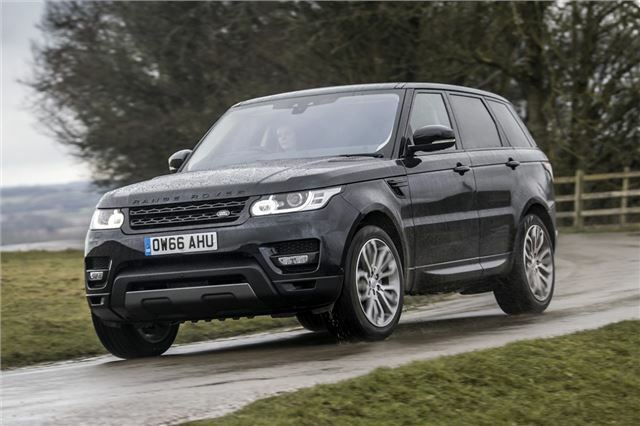 Unsurprisingly quite a few of the over-hyped Land Rover range are in this list of duds...and also no surprise for Vauxhall. But where are the usual suspects that prop up every reliability chart since the original J D Power survey in the UK many years ago? JD Power surveys are flawed. It is based on customer responses, which are by their nature biased. People buying say a Skoda tend to under-report problems because they are biased by press opinions compared to those buying say a Vauxhall which has a bad press reputation, and hence owners (largely fleet owners) exagerrate the issues. That is why JD Power call it "dependability" survey, not reliability. There is a fine difference here, but the press ignore it and call it reliability. The best reliability records are owned by the car manufacturers, and there is a private syndicate of repairs made and customer satisfaction surveys that these manufacturers have access to. If you have access to these, you will find that the VW Group brands come out very badly, with VW, Audi and even Skoda brands worse on reliability than even Ford. Amongst Japanese mades, Honda and Toyota are consistently the top performers over a long period of time. Put simply, if reliability is important, stay safe buy Honda or Toyota and avoid the VW Group of cars. You make an interesting point re JD Power, and presumably other similar surveys now undertaken by Which?, Auto Express etc. I am intrigued that the manufacturer confidential reports on reliability etc place some Japanese manufacturers at the top, and VW group much lower down. I had my 1997 MK1 2.0 RXE Megane for 14 years with only one major job at 10 yrs - replace seized aircon compressor and both belts. Replaced with a MK 3 1.6 VVTi still going strong after 7 years and no problems at all, still even on original battery. The analysis is of specific vehicles rather than manufacturers. Interesting that the majority of cars in the Top Ten are premium brands. That's a kick in the pocket for such drivers but if you look at HJs car by car reviews, some of the models in that list have a string of pretty serious faults reported as long as your arm and over many years, so known about - yet people seem to crave status over reliability. That said, given the extensive testing a new model gets, did these serious faults occur during pre-launch testing and if so were commercial pressures and interests the reason for basically pressing on and sorting out as warranty claims? As for the comment "The manufacturer also has the second most expensive authorised claims at an average of £1324 per claim, just behind Bentley", why is no Bentley in this top ten? Don't get the Vauxhall thing. Had two (on my third now) and over a combined 90k miles only suffered from 3 light bulbs and two incidences of binding brake callipers (partly my fault since I have the handbrake on a steep driveway and leave it on when away on hols etc). All three have/are well built with zero rattles etc. Would love to see the stats broken down by age of vehicle, how long kept for and starting mileage on handover of ownership etc etc. You should be cautious about trusting Warranty Direct figures. It's not that they're lying, it's the way they work out their charts. Instead of simply listing the number of times a make and model of car gives problems, Warranty Direct base their lists on number of breakdowns, plus HOW MUCH the problems cost to fix. So, WD has put out lists from time to time where Fiat gets shown as being more reliable than Toyota, not because Fiat is more reliable, but because the parts are cheaper. WD should publish the lists based on actual reliability, with a separate list detailing the costs of these repairs. Here’s how to sort the fact from the fiction when it comes to car warranties.